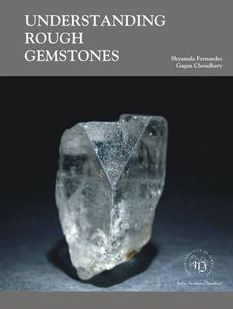 Co-authored with Shyamala Fernandes, the book, Understanding Rough Gemstones (2010), encompasses a wide gamut of knowledge of rough gemstones in a manner that is simple, effective and relevant. Understanding Rough Gemstones is one of the first in-depth books on the subject of rough gemstones. The authors reveal, "We, the authors, have worked together on countless occasions and each time we have known that we had a book in us. It would be unfair to not share the knowledge and experiences that we have acquired over the last 30 years. 'Rough gemstones' is a subject for which we both have a genuine passion and one that has not been sufficiently highlighted. While there are several books on gemmology today, not enough has been written on understanding rough gemstones. 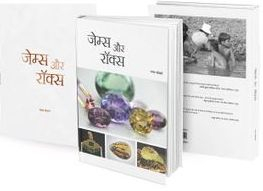 It is precisely for these reasons that we decided to go ahead with a book which would be simple yet comprehensive narration of the world of rough gemstones. Though we have tried to keep the language simple, some aspects require use of technical jargon which has no other mode of expression." Further, the authors also divulge, "We have tried to share our experiences faced during testing in the laboratory as well as tried to answer the many questions of our students, most of whom have battled problems in the identification of rough gemstones. Our overall concept was that, given a single stone or large lots of stones, you will be able to identify and evaluate the identity and quality of a stone using a methodical, step-by-step process..... We hope that you enjoy reading this book as much we enjoyed writing it." The book has been divided into 8 chapters that navigate you through the fascinating world of gemstones as they share with you the 'Whats', 'Whys', 'Wheres' and 'Hows' of this simple innocuous looking think called a stone. The book will, literally, take you across the globe. First, as it explores the gem stone deposits in each nook and cranny of India, and then, as it explains the prominent deposits of the world. Be it Orissa or Chile, all of it is covered by the authors. The book is concluded with 'Reality Matters', a number of simple realities of the rough gemstone trade, worldwide.